Research. As a former grad student, I know all about it. Going around and trying to find information about your topic can be rough, especially if your topic is the strange and dangerous creatures that inhabit dungeons. 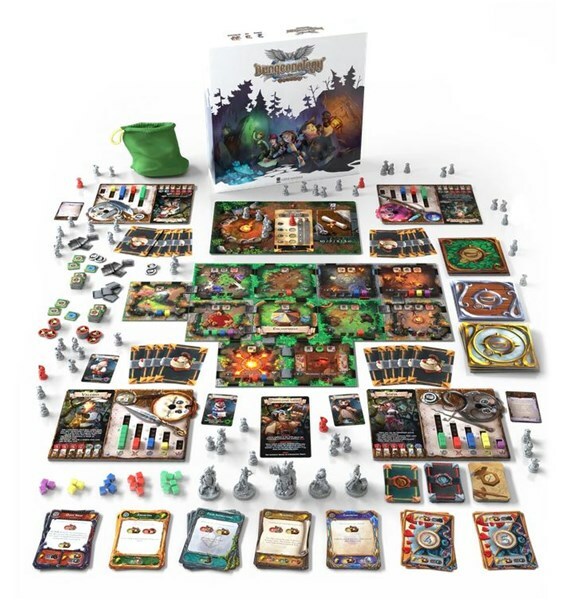 In Dungeonology: The Expedition, players take on the role of professorial candidates who must find out about their research topic of choice while staying undercover in a dark dungeon. In the end, only one will get the info needed for their thesis and be promoted. Welcome to the University of Rocca Civetta, the first of its kind, which aims to study the natural habitat of several cultures in Italy. Unfortunately, some of the professors occasionally run into atypical societies, risking their neck. This is a university where even the best find it tough! In Dungeonology the heroes will explore new places and their inhabitants with the aim of discussing their thesis and becoming the new professor in their own field of expertise. It is an atypical dungeon crawler where the goal is not to free the area from hordes of furious and terrifying monsters, collecting huge stashes of treasure or magical weapons; to the contrary, our heroes’ job will be to study habits, take notes and stay undercover. The Scholar who gathers the most or best quality information can discuss their thesis, getting themselves promoted to the role of professor. The campaign's coming up to 4x funded with 20 days left to go.